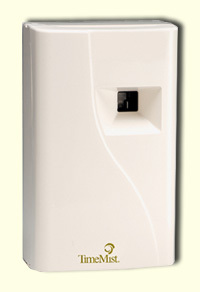 We offer a time-release mist aerosol dispenser for the control of flying insects inside your home or office. 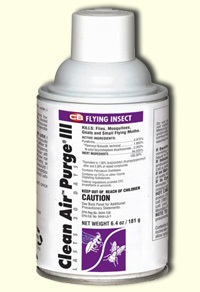 Insecticide is dispensed every 15 minutes. We service these machines monthly, as the chemicals have a 30-day residual effect. We supply refills by the can or by the 12-can case. Images courtesy of TimeMist, Inc. 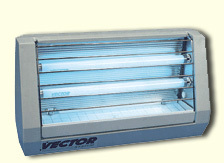 The Vector Classic machine offers an alternative ultraviolet method of controlling your flying insects. We service these machines on a monthly basis.